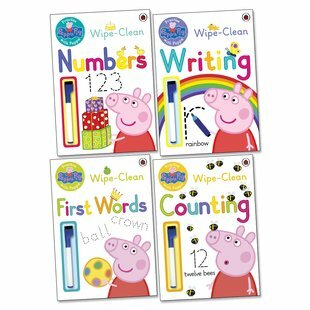 Puzzles, rainbows, wipe-clean play: this is how Peppa likes to learn. So do we. And so will you. Peppa Pig loves learning, and what does that mean? Practice. All the fun of trying something new and repeating it lots (even more fun) until you’re a total expert. 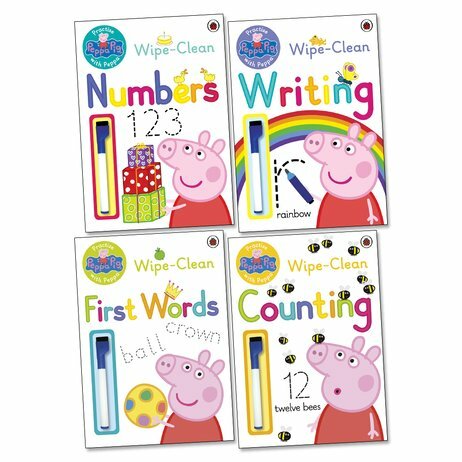 So she’s brought you these books full of easy learning to make you oink with glee. Doing fun puzzles, counting things, tracing shapes and letters. Plus hours of play with special wipe-clean pens. Wave goodbye to mistakes.